What Is The Best Small Elliptical Machine? In your quest to find the best in a long list of small elliptical machines, no doubt you may have been confused as to which one is top of the class. Here at Fitness Fixation, we love Ellipticals and have taken it upon ourselves to review, rate and rank the top ten small elliptical machines to save you the trouble and time it takes to wade through reviews and online shopping sites. Sunny have by far the best ellipticals for those looking for a compact trainer with a small footprint. They boast a large range of products, each to suit a different need when it comes to home gym equipment. Lets take a look at the features. The machine is fairly straight forward to put together with most saying it took them around 1-2 hours, which is good for a piece of exercise equipment. One complaint was that whilst the machine can hold a tablet computer to keep you entertained whilst exercising, it is a slittle close to your eyes so it may be best not to use one of place it on another surface. Admittedly not a deal breaker. We think this is a good selection if you are looking for an all over body workout and more than just a leg exercise elliptical. Whilst not the smallest in our list it is compact and you do get a lot for your money. There may be some issues with ‘squeeking' which can be fixed with a little WD40 and a good spanner to tighten all the nuts and bolts. The InMotion Compact Strider is by far the highest rated elliptical in it's class. If you are looking for a machine that you can tuck away in a corner or cupboard when not in use then this could be the one for you. 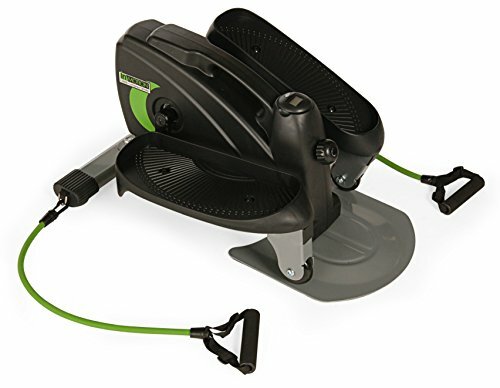 Users rate this machine as very sturdy and state that it provides a great upper and lower body workout with both the foot pedals and the resistance bands. It has been given an overall score of 4.5 stars out of 5, which is almost perfect. Other state that the machine is easy to assemble and can be stored away in a cupboard until needed. Small and compact, elliptical machines don't get much smaller that the Stamina InMotion Strider. If space is you main concern, then this is the one for you. The Gazelle Edge is a completely different beast than all of the other top rated elipticals in this list. First up, you can tell just by looking at it that this machine will offer a workout like no other. It looks almost spage age if you like. Still, ther is no denying that this ‘glider' technology is great for improved cardiovascual endurance. One user noted that ellipticals under the $500 price range are often times jerky and don't have a smooth motion. However the Gazelle, despite coming in at a budget price, at the time of writing, performs much better than some of the top models. Users also noted that it is a basic “no frills” machine, in that it does it's job and no more. This unit despite not having the smallest footprint, actually folds away into a nice contained unit that measures only 10″ deep. Perfect for storing up against a wall, behind a piece of furniture or even under the bed. Here we have another model from the Sunny brand, and this time the footprint is even smaller. Because of its emphasis on height, it manages to pull everything in close to the machine, meaning you get a very small, compact product. Users have scored the Sunny Airwalk 4/5 stars, with the main areas for concern being that the machine is a little too ease as it is a no-impact trainer. That said, most agree that it is great value for money and takes up hardly any room. If you are looking for a small footprint machine that offers low impact, possible for the older fitness buffs amongst us or those looking to rehabilitate, this is the perfect combination. The price is right, the size is right and it does what it's supposed to do. We rate the Sunny Magnetic Elliptical Trainer as the Best Small Elliptical Exercise Machine you can buy. What is the difference between an elliptical and a treadmill? Although ellipticals and treadmills can both be used for cardiovascular activity, they have some major differences. The biggest difference between an elliptical and a treadmill is the level of impact that they have on your body when you use them. A treadmill uses a conveyor belt that you run on the same way you would run on the ground, while an elliptical allows you to run or walk using rotating footholds and handholds. Since a treadmill is closer to running in the traditional sense, it has much more impact on your joints than an elliptical. Treadmills can also provide a more intense workout than an elliptical in many ways. This is because they tend to have a greater range of settings and allow you to challenge yourself in ways that you can’t on an elliptical. However, because of this, treadmills can also cause injury and put lots of stress on your joints. If you’ve struggled with injury in the past, an elliptical is a good way to get a workout that’s similar to a treadmill run without the same level of impact. However, if your main concern is burning as many calories as possible, then a treadmill might be a better choice for you. Both options provide a good indoor workout for those who don’t have a place to run outdoors. What is the difference between an elliptical and a stationary bike? Ellipticals and stationary bikes are two of the most popular alternatives to running on the treadmill. However, there are significant differences between the two, since an elliptical simulates running or walking, and a stationary bike simulates cycling. Stationary bikes do not give an upper body workout the same way an elliptical does. Ellipticals allow you to engage your arms and your legs, while a stationary bike only works your legs. Because of this, using an elliptical tends to burn more calories than a stationary bike. However, stationary bikes are great if you prefer a more gentle workout. You can easily warm up your muscles without engaging in highly strenuous activity, which is why stationary bikes are often preferred by those who have struggled with injury in the past. Additionally, since your arms are not engaged while using a stationary bike, you can read or use your phone while exercising, which is a huge motivating factor for those who often feel bored while exercising. Both machines are great options if you need a non-weight bearing workout option. Your preferences about working out will affect which one is the best fit for you and your needs. What is the difference between an elliptical and pavement running? Many people wonder whether it is better to run outside on pavement or at a track, versus using an elliptical to simulate running for a good cardio workout. Just like with a treadmill, the biggest difference between using an elliptical and actually running is the level of impact involved. For those who are concerned about getting injured, the elliptical can provide a similar workout without the same level of stress on the joints, which can reduce your chances of getting injured. This is particularly important to consider for those who have struggled with joint problems in the past or maybe are completely new to running. However, running on the pavement is better for building up strength and burning calories and fat, because it is a more intense workout. For very serious athletes, it is important to have traditional running in your routine as well as using the elliptical. 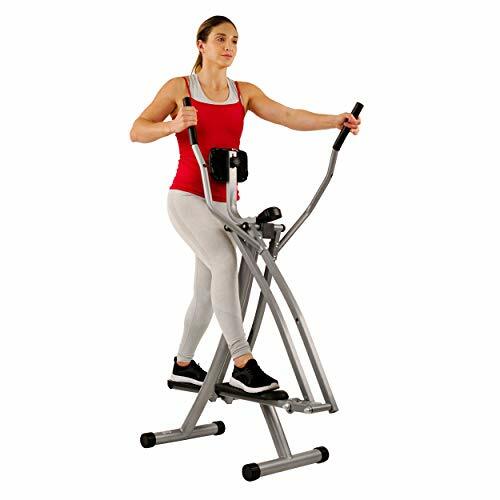 The elliptical is a very good way for any athlete to keep up a good cardio routine without damaging their bones or muscles in any way, or to build up extra endurance before a big athletic event. Elliptical machines are also a great way to get in a workout that’s similar to running without having to go outside in cold weather. However, if you can’t afford an elliptical machine, running outdoors is a good way to train for free. Both have their pros and cons, it just depends on what kind of workout is right for you. What are the benefits of using an elliptical? There are many benefits to using an elliptical. The biggest benefit is that it is very low impact, particularly on your knees. You get a high-intensity cardio workout that feels like running, but you don’t have the same impact on your joints that you get with running outside or on a treadmill. Because of this, you can use an elliptical even if you’ve experienced joint injuries or stress in the past. The elliptical also uses your whole body and is a great way to burn calories. If you are an athlete looking for an easy way to cross train, or you’re just looking for a fun workout that will tone your body and get you in shape, an elliptical works well. This is because it uses both the arms and legs, and you can increase the level of difficulty as needed to make your workout more intense. Additionally, the elliptical allows you to get a workout in that feels like running even when it is rainy or cold outside. Although many people prefer to run outside, sometimes that’s just not feasable. Investing in an elliptical gives you a convenient way to get a cardio workout in at any time of the day. What are the disadvantages of using an elliptical? There are some disadvantages to using an elliptical. The biggest disadvantage is that it does not build strength, so it is very important to do separate strength training on your own when using an elliptical for your workouts. Strength training exercise would include lifting weights or another similar form of exercise that tones the muscles and involves weight bearing. Since the elliptical does not have the same level of impact that running on other surfaces does, it is also difficult to build up muscular endurance. Another disadvantage of the elliptical is that you don’t burn as many calories using it as you might with other types of workouts, such as running outdoors, running on a treadmill, or playing team sports like basketball or soccer. This is because the workout tends to stay relatively stable, and ellipticals don’t offer the same options for challenging yourself that treadmills do. For this reason, they are often used more for cross-training than for workouts on their own. The final disadvantage of ellipticals is that they can be expensive to purchase. Many of them cost thousands of dollars (although many brands do offer payment plans to help you assuage that cost). Many people prefer running outside because there is no cost involved. However, you can still use an elliptical for a much lower cost by using one at your local gym. What is the best home model for ellipticals? There are several good options for ellipticals to buy for your home. While the best model for you will ultimately depend on your budget, there are a few particular options that we really like for all shoppers. The Sole E35 is one of our favorites because it is ergonomically designed, so there is very minimal stress on your joints and it prevents you from getting injured. It also has a significant range of incline adjustment, which is great for anyone looking to add a challenge to their workout by running uphill. Finally, it is very quiet and feels very smooth while in use. Although it is definitely a big investment, this is the best elliptical if you are looking for gym quality at home. If you are looking for something on the cheaper end, the Exerpeutic Aero Air is a great option. It has a simple but very effective design that we love because it is very smooth and comfortable to use. It has a full screen so you can track the length and progress of your workout while you are running. If you want to save money on an elliptical but still get a great workout in, this is a good option for you. How do I maintain my elliptical? When you invest your money in a high-end elliptical trainer, you want to make sure that you put some effort into maintaining it properly. Making a habit of maintaining your elliptical properly can help it last longer and prevent any technical issues that could interfere with your workout. The most important thing is to clean it regularly to prevent germs from building up on the machine, particularly if multiple people use it. You can just wipe it down with a multipurpose cleaner and a towel after each use. You should also make sure that you check all of the mounting mechanisms every month or so just to make sure everything is still running properly. If the wheel malfunctions while you are using the machine, it could be potentially very dangerous for you, so it is important that you inspect it periodically so you can fix any problems right away before they affect anyone using the machine. You should also be sure to always check the machine if you hear any loud or unusual noises, as these can be indicative of misalignment in your elliptical. 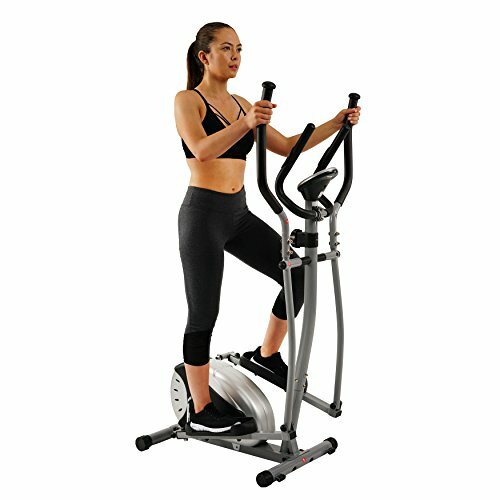 What accessories should I get for my elliptical? 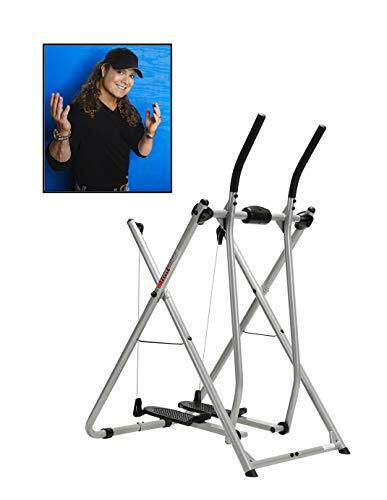 There are several accessories that it is quite useful to purchase for your elliptical machine. It is highly recommended to invest in a mat to put under your elliptical, as this helps keep your machine stable and smooth as you use it, and also prevents damage to your floor – something that is very important to consider in preserving the health of your home. Having a mat under your elliptical also reduces noise, something that the rest of your family or housemates will likely appreciate as you are running. If your elliptical does not come with one, it is also helpful to get an attachable water bottle holder, as well as a holder for your phone or other electronic devices. It is very important to stay hydrated while you are working out, and a water bottle holder makes this much easier and more convenient. In addition to purchasing a place to keep your phone or iPod, it may also help to invest in some wireless headphones so you don’t have to worry about them moving around while you are running. If you like to read while you work out, there are also devices you can purchase that will allow you to prop up a book while you are running. Finally, be sure to invest in some cleaner and a towel to use to keep your elliptical clean after each use. Sweat and dirt can easily build up on the machine, which not only can make it deteriorate faster, but is also not healthy for you to have around you. A local sports or workout store may have kits for this that you can purchase.